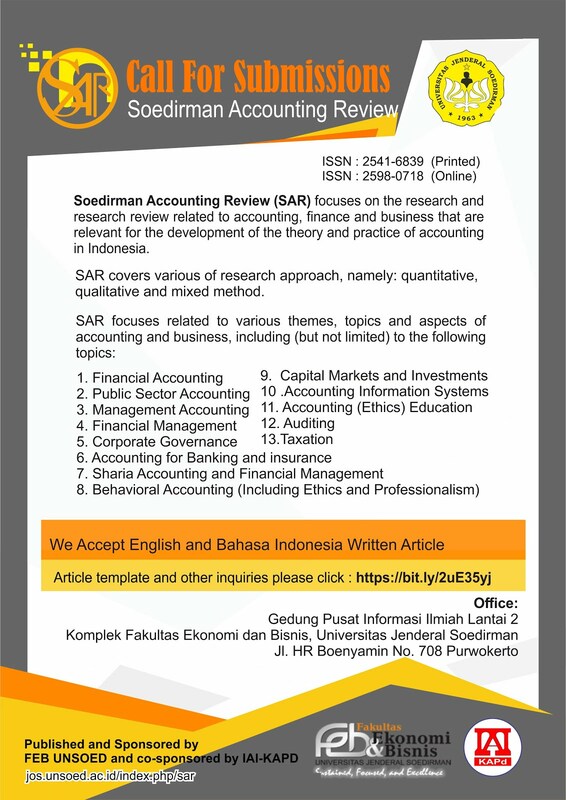 SAR (Soedirman Accounting Review): Journal of Accounting and Business does not charge submission and publication fees but we apply charges if the author requests a journal hardcopy (printed version). For domestic author is IDR 500.000 per copy including shipping cost. For foreign author is USD 50 per copy excluding shipping cost.